What’s long and white and has bristles all over? A bottle brush! Just kidding. It’s the Yeti Crab. This little creature was found deep underwater in the hydrothermal vent ecosystem of the mid-ocean ridges near Easter Island. 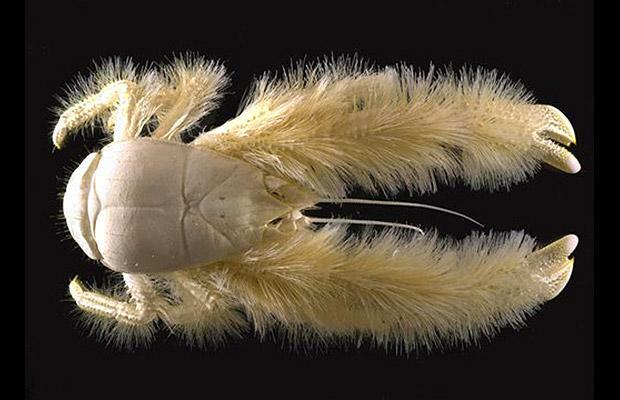 The Yeti Crab eats mussels on the sea floor, but also uses the bristles on its long arms to host colonies of specialized bacteria, possibly as another source of food. He looks quite warm in the snow. 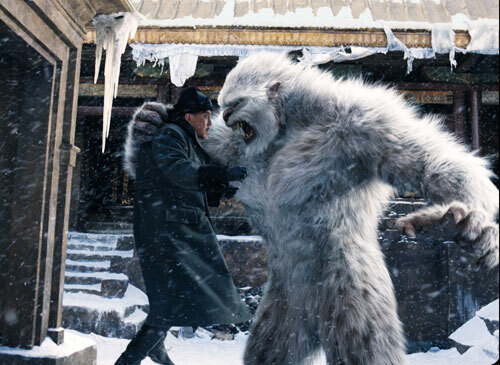 The Yeti that is. Im not sure of the name of the fish ( its found after decompression ) it also had long hairs to grab its prey. What depth was the creature found at?